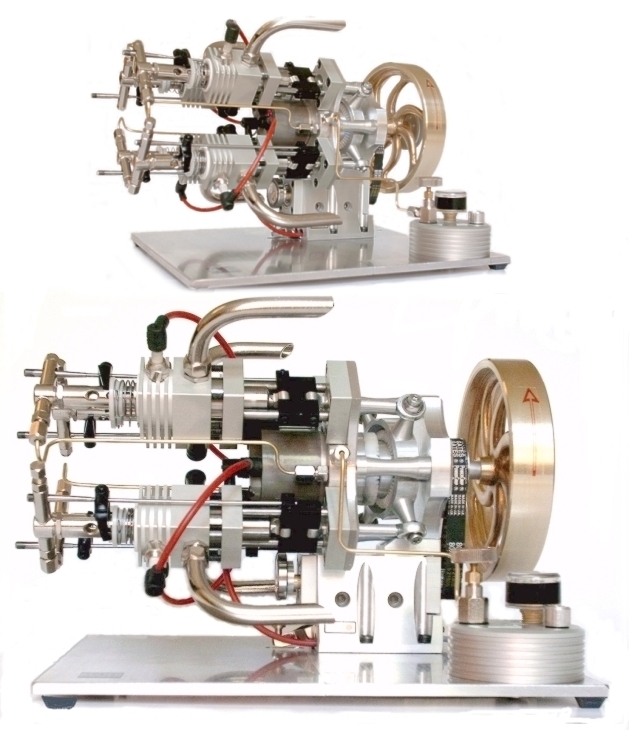 Model Engine Projects, also referred to as “Model Engineering: can be tremendous fun for all. This page brings you the best model engine projects I’ve found together with my own projects that I’ve built. I’ve got a great interest in these projects, so there’s quite a lot of material here! 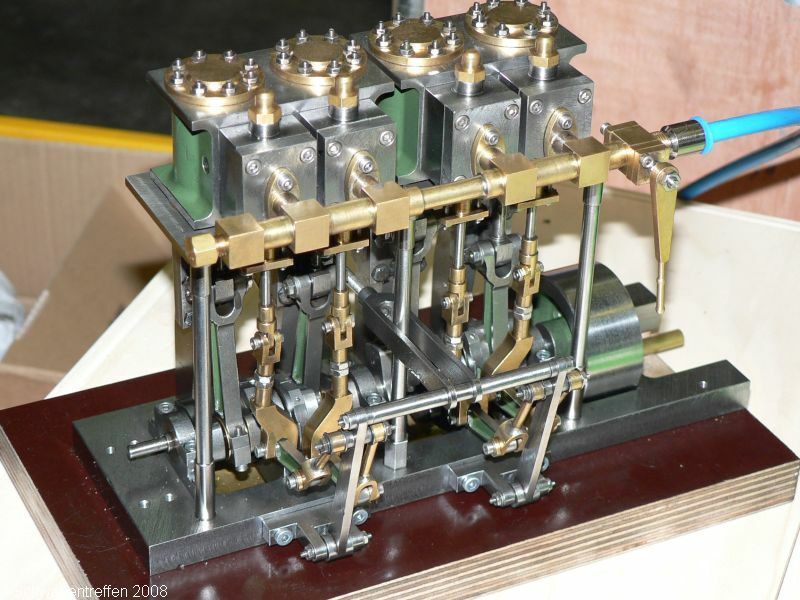 John “The Engine Man” Bentley does some of the most amazing model steam engines you’ll find on the web. This is his Compound Marine Launch Engine, machined from a set of Stuart Little castings. Bob’s No. 1 is (so far) just a design exercise I did in Rhino3D. I built a complete CAD model of the venerable Stuart Turner No. 1. I don’t see it listed any longer in their catalog, but there are great photographs of John Bentley’s replica on his site. I hope to make the model using CNC some day soon. 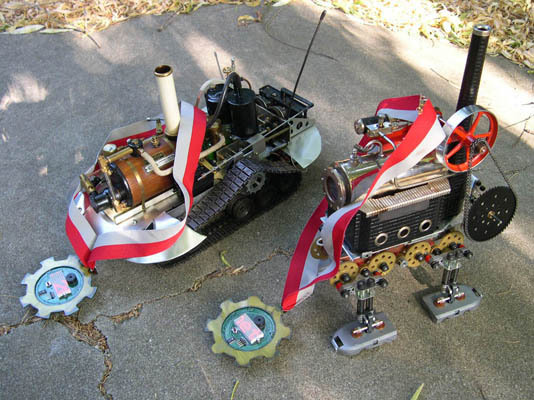 Welcome to the wacky world of Crabfu, where model steam engines mix freely with modern robotics and radio control technology to make these wonderful art creations. Model Steam Turbines are fascinating if for no other reason than they’re unusual and make a wonderful noise when running. Most can’t generate as much power as a piston model, so they’re more about show. 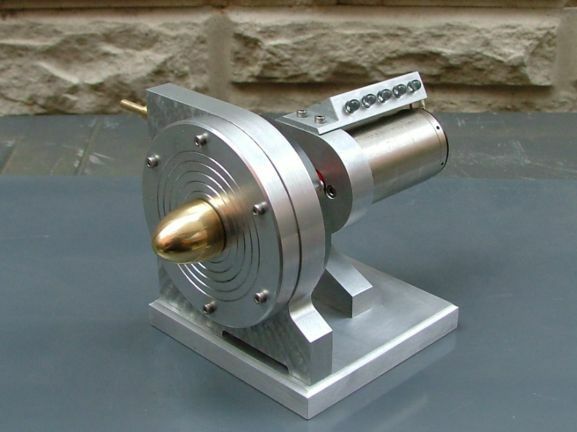 I’ve documented some history and the build of one such model on my Model Steam Turbine page. 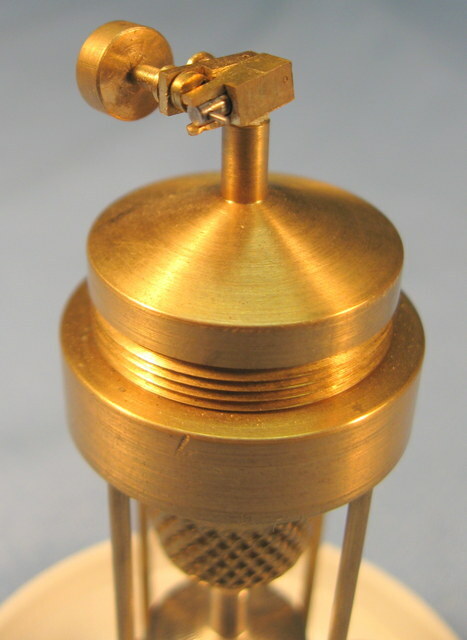 This little wobbler, courtesy of HMEM board, was apparently built from plans in the book, “Steam and Stirling Engines.” It is from the article, “Thimble Power Plant”, by James Senft. It has a 1/16″ bore and stroke. 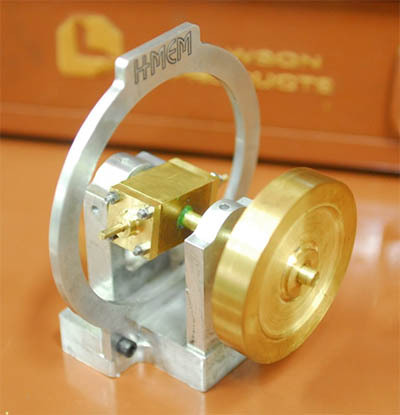 The flywheel is 1/4″ diameter the crankshaft is .020″. It runs at about 20,000 rpm because it is so small. This is a really cool little engine that was built as part of a team build. From time to time, HMEM sponsors team builds. Each person signing up for the team is responsible for making enough of just one part for every team member to have one. What’s fun is that instead of creating a one off, you get to make several, so you have a little opportunity to refine and learn how to “mass produce” the parts. 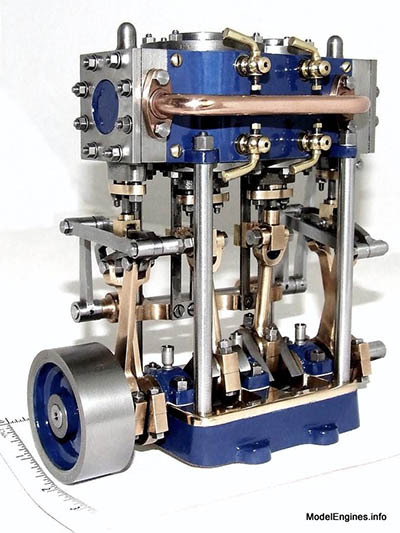 The Comber Rotary is one of Elmer Verburg’s little model steam engine projects. For this team build, I was responsible for the bearing blocks, and I used my first home CNC converted mill for the job Unfortunately, I never finished the little engine because not all team members came through with parts. I should go back, finish the missing parts, and get it running. 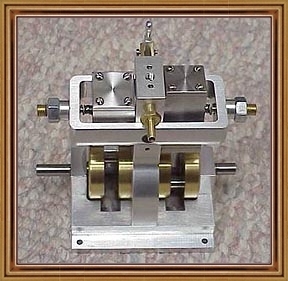 This Reversible Wobbler is another of Elmer Verburg’s model steam engines that I started but never finished. What’s interesting about this engine, apart from it being visually a little less simple and closer to being a “Big Boy” engine, is that it has a reversing lever. In retrospect it was probably a touch ambitious for my machining skills at the time though the parts I made didn’t turn out badly at all. If you’re like me you’ve always admired those gorgeous little working models of complex steam engines. Companies like Stuart offer castings for these lovely beasts so that mere mortals have a shot at owning one. These models are quite expensive to buy new and are also expensive assembled in the aftermarket. Who wouldn’t want one sitting on display nearby? This category is all about Miniature Engines of the internal combustion (IC) variety. 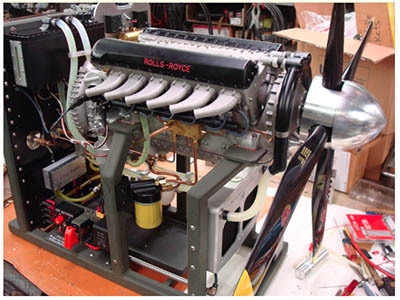 Quarter Scale V-12 Rolls Royce Merlin: It doesn’t get much more ambitious than this project. The Merlin was the engine that powered Spitfires and P-51 Mustangs to victory in World War 2. What an iconic power plant, and what an amazing project. Full build details here. 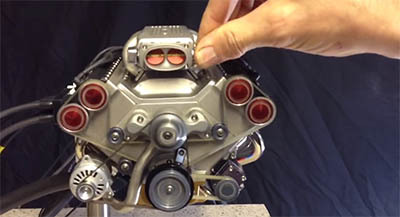 Quarter Scale V8 Engine that sounds just like a real high performance V8. Double Overhead Cams, Fuel Injections, Headers, and all the goodies. YouTube Video of the engine running. 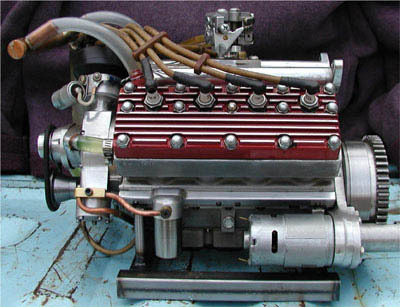 V8 Flathead Model Engine. How about a 1/3 scale model of a classic flathead? Even better, what if we put the working motor into a 1/3 scale model T-Bucket Roadster? Amazing project by Jim Moyer! 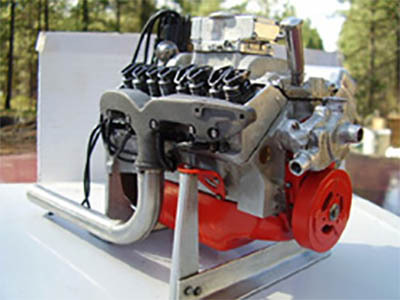 1/6th Scale Chevy Corvette Model Engine. What a beauty! Don’t you just love the stamped rocker arms? That’s serious attention to detail. Another amazing project by Jim Moyer! 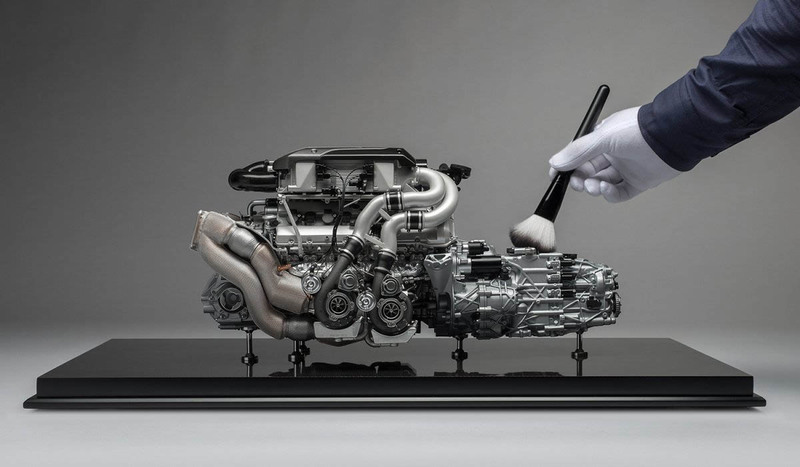 The detail on this Bugatti Chiron Model Engine has to be seen to be believed. The model was created by UK firm Amalgam in cooperation with Bugatti. It’s a static display model with no moving parts. If you’re the sort of business mogul with enough money to own a Bugatti Chiron, I could certainly imagine your wanting to have one of these on display in your office. A cool $9365 if you’d like to purchase one! Amazing little Butane powered combustion engines. 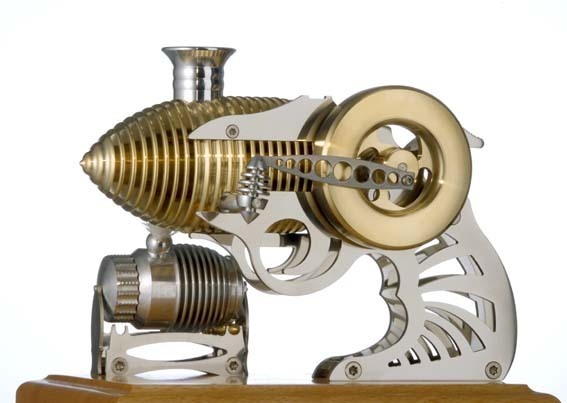 Model Stirling Engines are fascinating, and they require a higher degree of precision to run well than a steam engine. 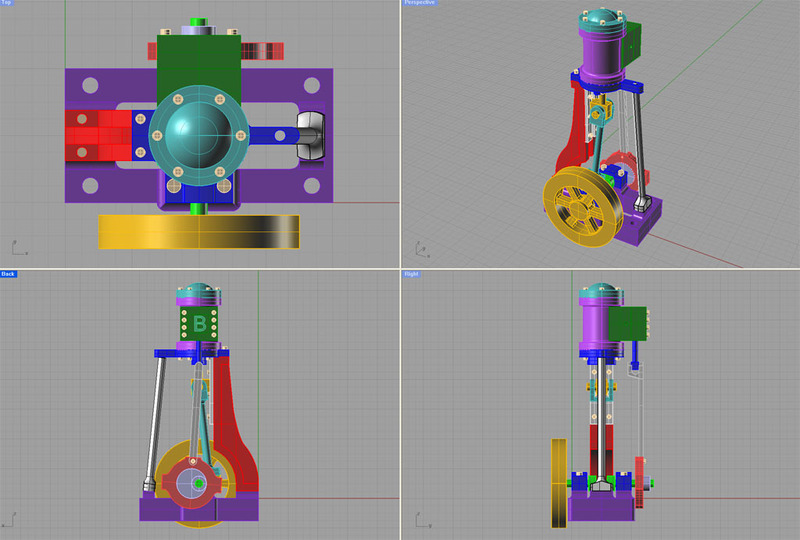 There are so many interesting designs I’ve created a whole page of nothing but Model Stirling Engines. Home Model Engine Machinist: My personal favorite. There are dozens of model engine projects here with full build logs for many.